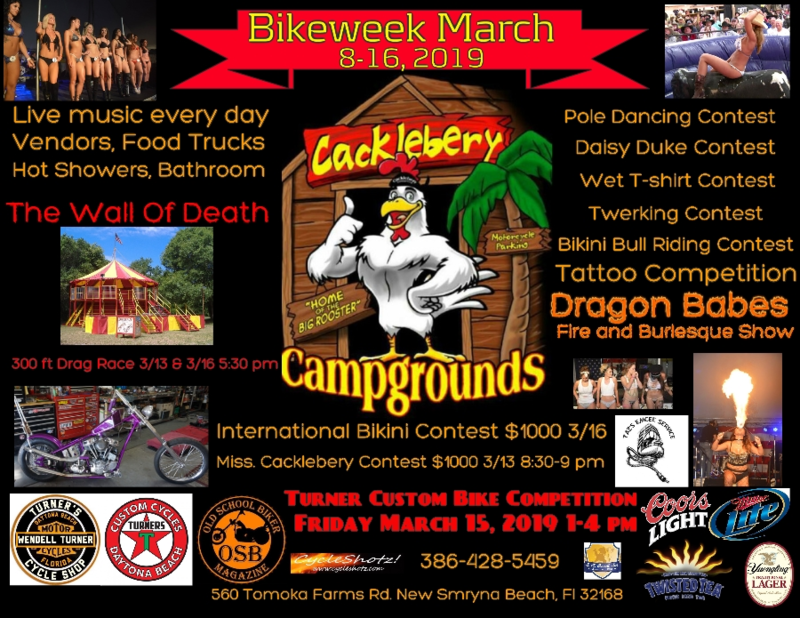 Join us for Daytona Bike Week's 78th Annual Bikeweek Friday, March 8th at 12 pm. Live bands, 2 stages, and the Miss Cacklebery, International contest. A Special Event to remember a loved one. Performances by the Sesame Plexer, Big Daddy Band, Stoner Free & more every day & night, fire dancers, bikini bull riding, wet t-shirt contest, great food, drinks, vendors & home of the $2 beer & Twisted Tea. This will be an event like no other that you will never forget. RSVP your RV or Campsite.